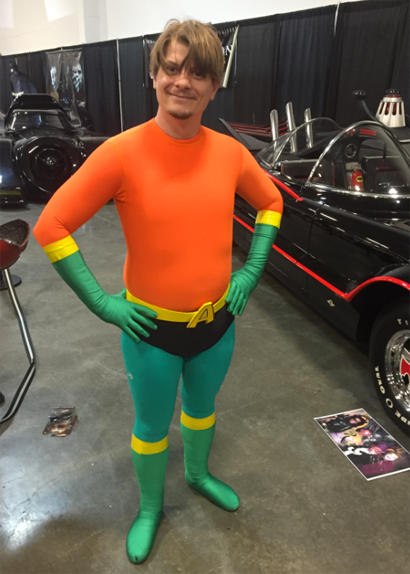 Check it out, Aquaman (aka new F.O.A.M.er Charlie Humphries) was spotted at last weekend's East Coast Comic Con! I hope Bats let him drive around in one of those Batmobiles, getting around North Jersey is a real PITA. Nice costume Charlie, and welcome to F.O.A.M.! Charlie was positively giddy when I told him that I was going to send his photo over to the Shrine. It was cool to see his enthusiasm!